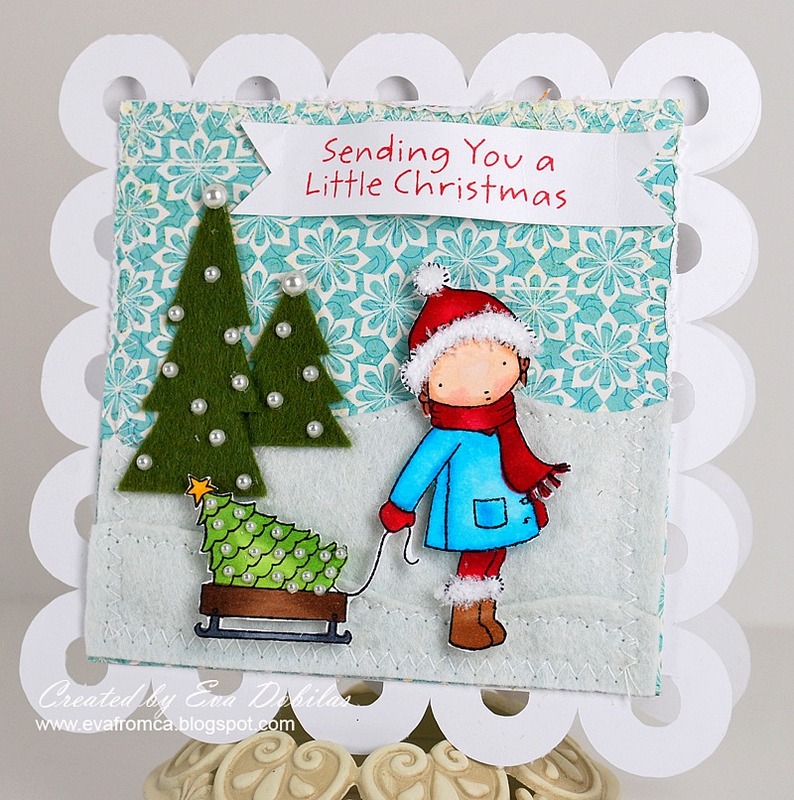 Hi there, today I wanted to show you a sweet little Christmas card made with My Favorite Things stamps. I played along their weekly challenge, which are so fun and got to use my new little Pure Innocence stamp set Sending you a Little Christmas. There is still time to make Christmas cards and I might still make a couple. This week's My Favorite Things Wednesday Club challenge is to create a winter scene, and here is what I came up with. I hand cut my little trees and added pearls to them, I thought that would look cute. I used My Favorite things felt for my trees and the snow, it just has such a pretty affect on the card. And of course the card shape was cut out with my Silhouette! Well, that is it for today....ENJOY your day! Thanks for visiting!